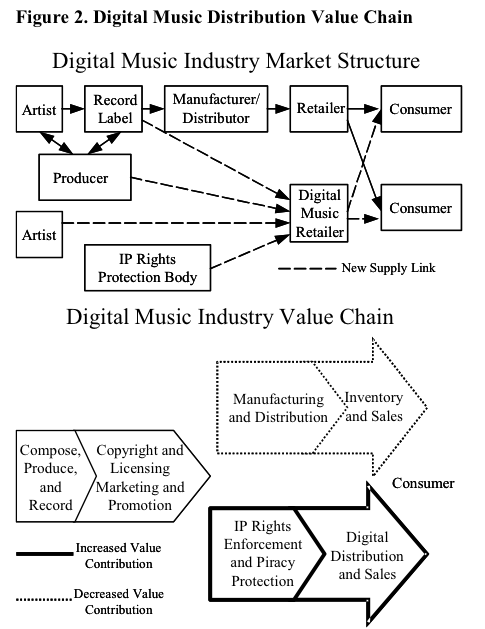 Important in understanding if labels are viable is understanding what the structure of the music industry is. Basically digitization lead to a restructuring of the market. Things are cheaper to produce, and you don’t need physical stores to sell things anymore. The record label is clearly very central, serving as the middleman between the artist and the producer, the manufacturer and distributer of the product, and also being in charge of marketing and exposure. Labels have the most control over the value chain. Another notable feature is the distance between the artist and the consumer. In order for an artist’s music to reach its intended audience, it must go through the label, the producer, the manufacturer/distributor and the retailer before finally reaching consumers. 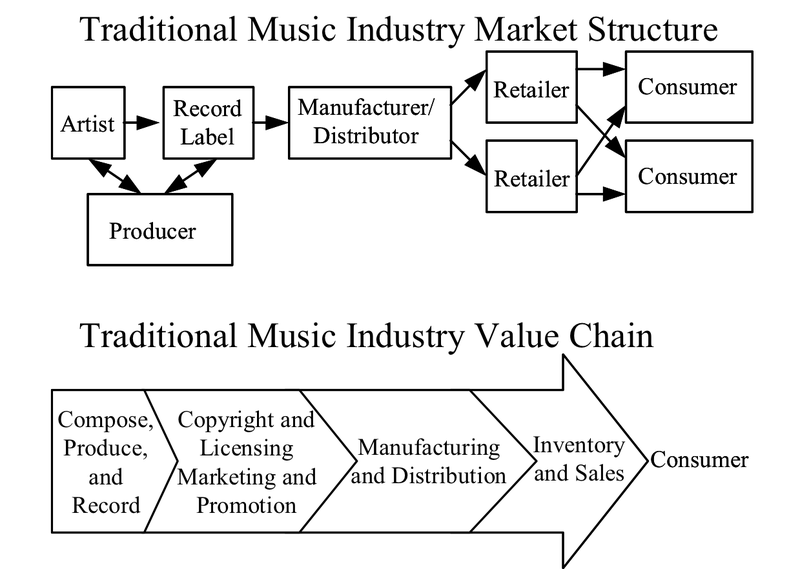 This traditional structure often creates a barrier for independent labels. The record label needs a manufacturer and a retailer to reach the consumer. However, in a brick-and-mortar retail store, there is limited shelf space. Major labels with greater marketing and bigger contract deals take nearly all the shelf space, leaving independent labels virtually unable to reach consumers other than through speciality outlets. Here we can see that the artist can really go directly to the digital music store– so in a way taking away from the importance of the label. However, the label also now can go directly to the retailer and not go through a manufacturer. Another nice thing that results from this shift for indie labels is that Digital music stores don’t have limited space. This was a severe issue when only physical stores were there to distribute music. This will be discussed in a later post.